Domaine Laroche epitomises Chablis. All the wines carry the Chablis hallmark of crystalline purity and steely minerality. Chablis is a fragmented region, yet Domaine Laroche owns 90 hectares of vines, including 21 hectares of Premiers Crus and six hectares of Grands Crus. The domaine has been built over the past 160 years, but there is also a strong sense for innovation in the winery and the vineyard. As you need great grapes to make great wines, viticulture approach is meticulous and includes organic treatments, soil ploughing and careful vineyard management. A range of tanks, barrels, demi-muids and foudres for both fermentation and ageing allows a large number of combinations and make each wine unique. The use of fine lees during ageing is crucial to help wines to develop and offer its best. Ageing takes place in the famous cellars of l’Obédiencerie that is considered as the birth place of winemaking in the region. In 2014, Domaine Laroche was awarded the Best French Wine Producer at the International Wine and Spirit Competition. 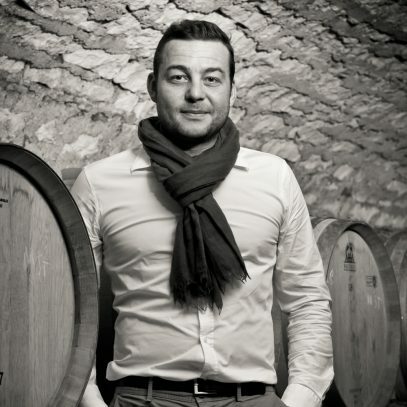 Born in 1975, Grégory Viennois is a qualified oenologist of the University of Burgundy. He worked as an assistant winemaker for Cru Classé Smith Haut Lafitte, then joined the renowned Stéphane Derenoncourt’s team as a consultant. He accompanied top châteaux in Graves and Saint-Emilion. He then joined the leading producer Michel Chapoutier both as a head buyer and vineyard investment adviser (Australia. Portugal). A year after, he was appointed as a technical director, and managed the setting up of a high-tech winery in the heart of Rhône Valley. Grégory joined Domaine Laroche in April 2011. He has a further mission: enhancing the distinctive style of Domaine Laroche through all the wines. He will be helped by the technical team to carry out the most recent advances made in viticulture and oenology. Grégory believes in a holistic approach with his work: no great wines possible without high quality grapes, no great fruit without a comprehensive view of the vineyard that includes ploughing of the soils which is among his main convictions. He pays much attention to the consistency between grape growing and winemaking and winemaking techniques are adapted to each single plot. Grégory also considers the grape berry as a whole, not only as a source for juice, as he knows that richness and ripeness can bring both complexity and minerality in the wines. Chablis is located in northern France in a cool continental climate region, Burgundy. Winter can be harsh. Summer is often warm but short. The blessing of the place is probably that a dry, sunny period appears in September, when grapes ripen. Cool climate is a question of terroir in Chablis. Chablis is born cool. The climate definitely influences the style of the wines: steely, pure, crisp and remarkably mineral.